It’s been a busy week over here but a productive one to say the least! I had to get everything organized for my blog’s taxes yesterday and that is always a bit of a headache! Add that to my list of blogging cons. Anyway, I hope you guys had a great week and have some fun plans for the weekend. I get a bunch of questions about my daily makeup (and I still owe you a video tutorial) BUT, here’s a small glimpse at one of the steps. Contouring with a stick had always intimidated me in the past. How do you blend it? Why so much? Where do you put it? What color shades am I supposed to use? It seemed so complicated for someone who wasn’t a professional makeup artist or beauty YouTuber. I tried out the NYX Wonder Stick over a year ago and have been hooked ever since. I personally feel like a creamy contour (versus a powder bronzer) looks so much smoother and flawless on my skin. 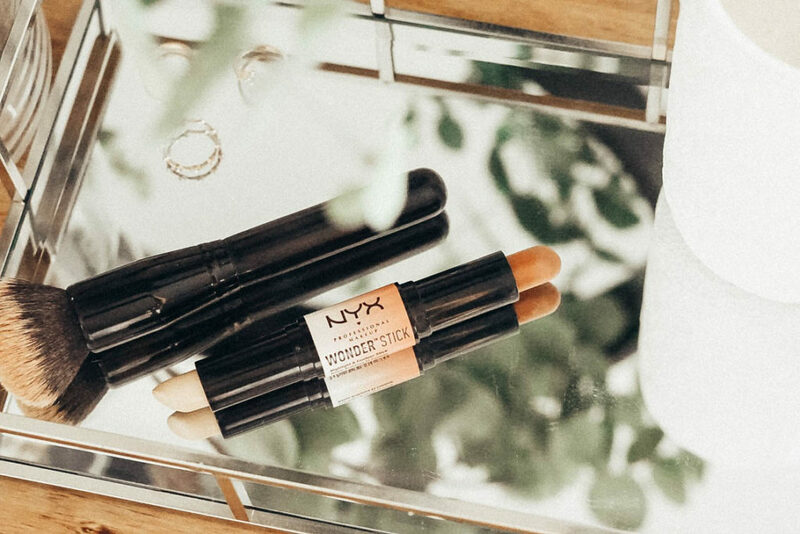 With the NYX stick, I use both ends (one side is a highlight, the other is a darker shade for contouring) to sculpt my face and define my features. You can see where I applied the different shades on my face in the pictures. 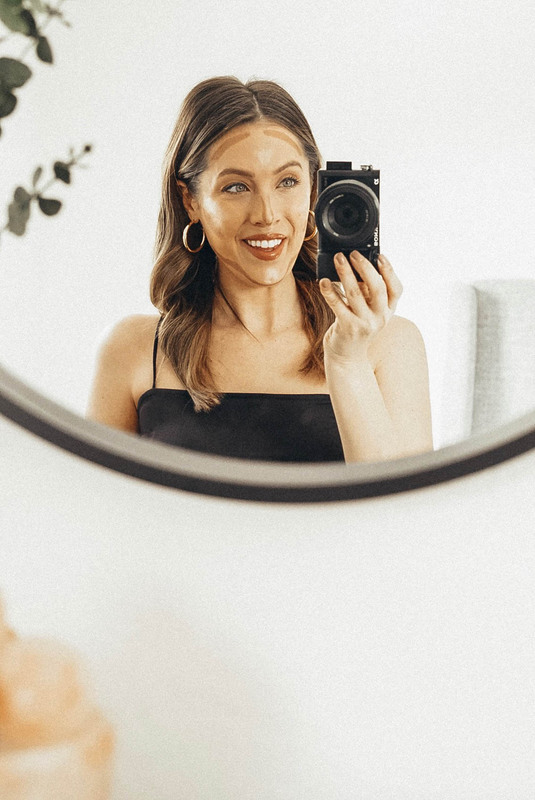 Once I’ve applied my concealer and foundation, I like to put the darker shade beneath my cheek bones (to create a nice shadow-effect), near my hairline, and alone my jawline and the sides of my nose if I’m feeling ambitious. I put the lighter highlighter on the tip of my nose, my cupids bow, cheekbones, chin, and a tiny bit on the center of my forehead. There really isn’t a right or wrong with this, it’s surprisingly easy and always turns out great for me. I use this exact brush to blend it out until all of the harsh lines are smoothed out. 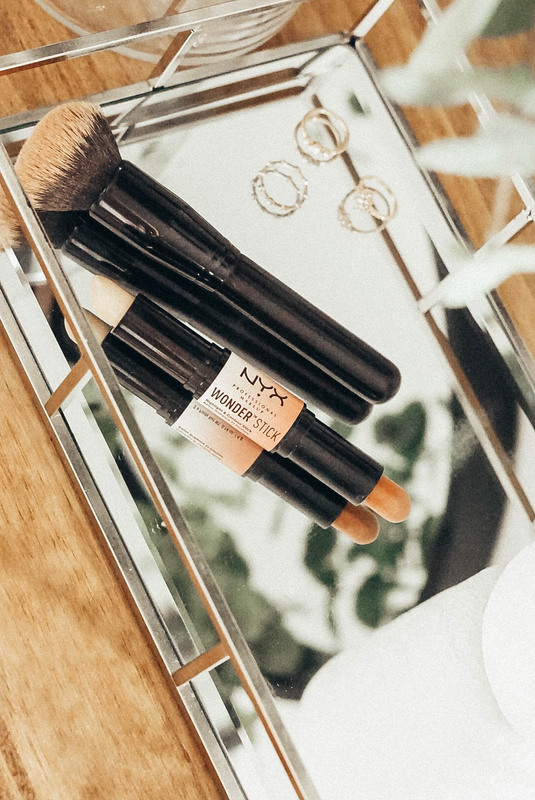 No high-quality brushes needed for this step… and I forgot to mention that the NYX stick is SO affordable. 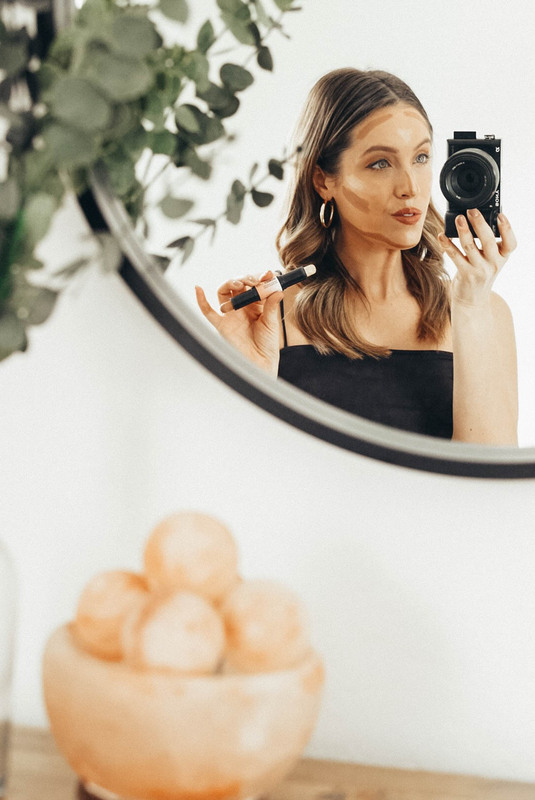 Check out my latest IG post here to see exactly how I blend it out with that brush. I use a “dabbing technique” (you like my non-MUA terminology?) rather than strokes to blend. 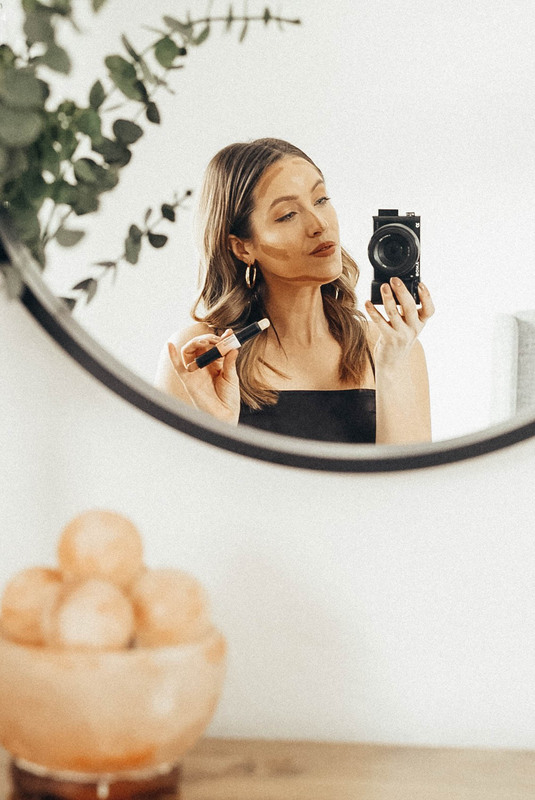 It truly only takes me about a minute or 2 to contour/highlight once I got the hang of it…. or else I would have been back to using powder a long time ago!